I’m writing this post to wish you a healthy and prosperous 2019 and updating you what I’ve been working on lately. TigerFish Book 2 - Expected Date of Publish May 2020. Be on the look out for the new title and book cover reveals this year. I’m making progress on the next full-length book, a continuation of my memoir into adulthood, marriage, childrearing, and career while comparing and contrasting my interracial relationship in 20th Century America to that of my parents' Post French Colonial Era Vietnam, to enhance the historical, cultural, and geographical context for a robust literary experience. It will also unflinchingly, compassionately, yet unapologetically examine the intersections of politics and the resulting displacement and migration, culture and identity crisis of the displaced, and what it means to be an American in the 21st Century. 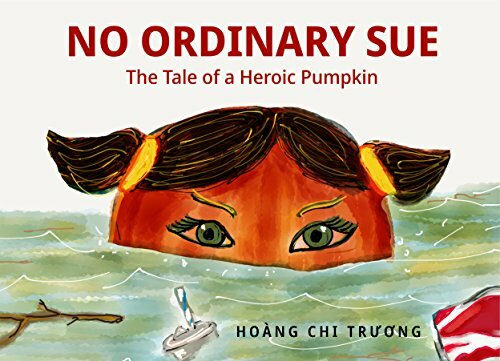 All written in the same storytelling style that readers found gripping, honest, and enlightening as in TigerFish. I’ve been going through a collection of my written notes from interviews with my dad over the years to compare and contrast and de-conflict them with audio and video interview recordings to build an accurate timeline of events. I also sifted through the documents that he has ever emailed all his children on the topics of his memoir, which at one point, he had asked me to do the translation. I started working on it but decided that I wasn’t qualified as an editor or translator to fulfill his wish. In writing my next book, I scoured the internet for documents that mentioned my dad’s name, Colonel Trương Tấn Thục of the Army of the Republic of Viet Nam (ARVN) , and found a few snippets of praises from the US Army declassified briefings, from US Army books, and his interviews on a Vietnamese language website of the ARVN Veterans. As recently as last September, I compiled a long list of questions for my dad and sat down with him for clarifications. He is currently 92 years old, and I am grateful that he is willing and able to speak with me with a high level of interest. He stressed that he wanted the future generations to know about our family heritage. It is a delicate dance to write about my family history. I must do it in such a respectful but truthful way while being mindful of everyone’s privacy. My dad explicitly gave me permission to write about him and my mom and went through great pain to explain in details to me his upbringing and military career. As I worked on my next book, I continued to speak at libraries, schools, colleges, churches, rotary clubs, book clubs, bookstores, and anyone else who would ask me to present. I experienced many firsts and met countless fellow bibliophiles who encouraged me to continue telling my stories. I worked hard and enjoyed a fruitful year, and would like to express my most heartfelt gratitude for your ardent support and readership. I also finished narrating my first audiobook TigerFish, and it’s now available on many platforms including Amazon, Audible, iTunes, Kobo, Overdrive to name a few. You can find the link to purchase a copy for your commute or road trips here. 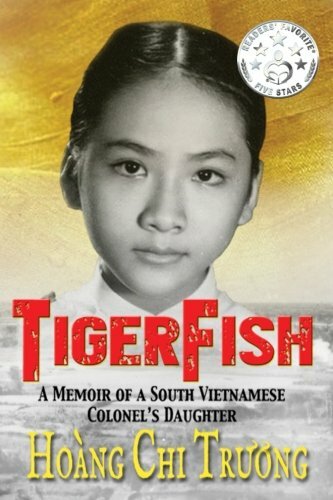 Get TigerFish Audiobook. Since you are a fellow bibliophiles, check out my Goodreads Challenge to pick up a few books for your new year TBR list. I am proud to announce that I will be the author speaker at the following events in the first Quarter. Please contact me at ChiSmith@ChiBeingChi.com to request or schedule an author appearance at your workplace, book club, or organization. Contributing author for the Sacramento Library Foundation fundraising 2019 Author on the Move, March 2nd. You or your organization can purchase event tickets to support the library and its many programs. Beth Ruyak, of Capital Public Radio’s Insight, will be the Mistress of Ceremonies and Pat Hume of David Sobon Auctions will be the auctioneer. Guests will enjoy a champagne reception, a four-course meal from the Hyatt Regency’s farm-to-fork menu, unlimited wine, conversations with three regional authors at their table, a keynote presentation by David Lawrence, and a live auction which features opportunities to win one-time author experiences. The Avid Reader Bookstore will offer all titles for purchase the night of the event. Speaker at Cosumnes River College 2019 Women's History Month Event “Visionary Women: Champions of Peace & Nonviolence.” March 6th from 10:30 to 11:50 AM. Speaker at Festival of the Arts and Letters hosted by the Vietnamese Student Association (VSA) at Sacramento State on April 3rd. Time to be announced. My hopes and goals in 2019 are to write you more frequently to share my Work-in-Progress in writings, and my ongoing journey with less-waste, eco-friendly and minimalist lifestyle. Please visit my social media to keep up on my daily posts, updates and interactions.